Installation may be the trickiest part of the whole endeavor. Beam ends can only join opposite magnetic poles, naturally, and each segment sticks to the wall with special 3M adhesive, meaning you'll have to press against them to make sure they stick firm and flat. You can pull them off and reapply if need be. 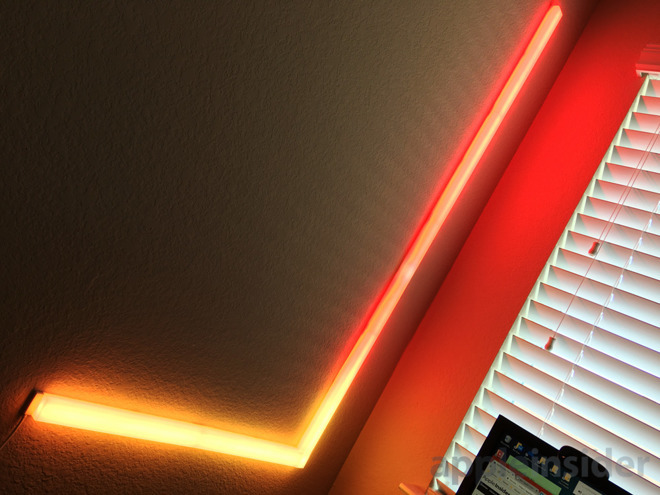 You probably will at one point, whether to pick another pattern, level the lights, or make sure that the power adapter (which is also magnetic) can connect to the beam closest to your wall socket. 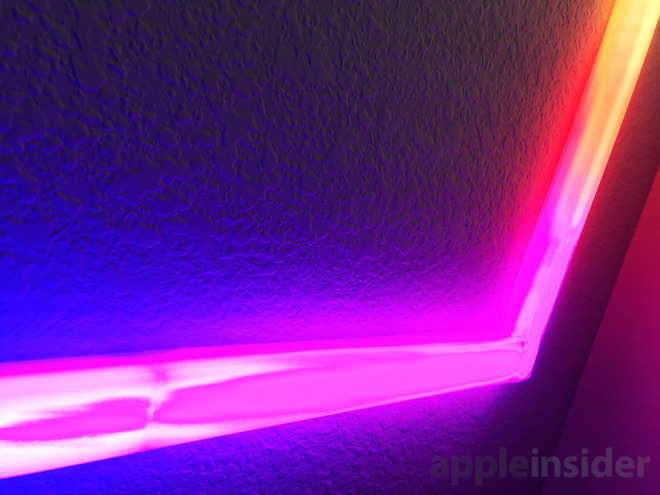 The LIFX app does a good job of onboarding, guiding users through adding the Beam to the LIFX cloud as well as Apple HomeKit. If you want to go a step further you can add it to Amazon Alexa, Google Assistant, and even Microsoft Cortana, as well as platforms like IFTTT and Nest. We were able to test the product with HomeKit and Alexa, but in truth, neither assistant can take full advantage. Those platforms only let users assign a single color across all beams, whereas the LIFX app enables complex color patterns, maximizing the 10 lighting zones on each beam. We'll talk more about options in our full review, but for now suffice it to say that you can "paint" your own themes, or pick from a variety of preset ones with solid or blended transitions. 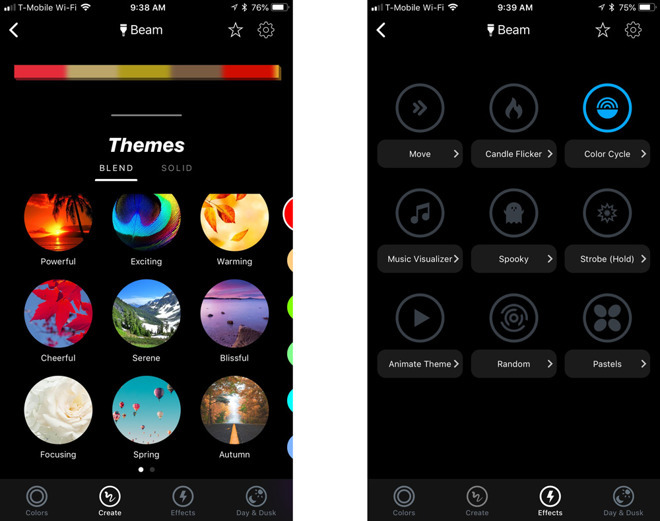 You can also enable some special effects, such as flickering, color cycling, time-of-day transitions, or a music visualizer that taps into your iPhone or iPad's microphone. Keep following AppleInsider for our upcoming review.